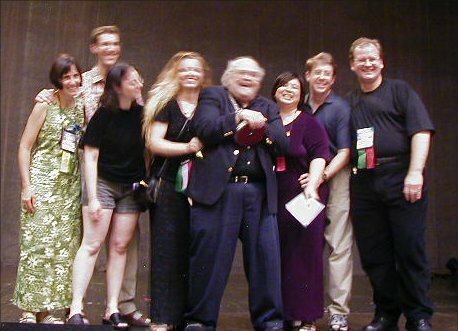 Standing: Sala Baker & Sean Astin (accepting for The Lord of the Rings), Mark R. Kelly, Frederick C. Durant III, Ellen Datlow, Charles N. Brown, Teddy Harvia, Vernor Vinge; front: Ron Miller, Neil Gaiman, Eileen Gunn (for Michael Swanwick). Other photos below. 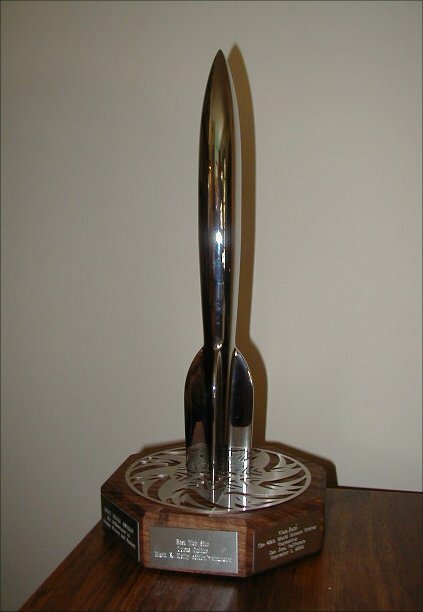 The 2002 Hugo Awards were presented Sunday evening, September 1, 2002, at the World Science Fiction Convention in San Jose, CA. The convention committee has posted the detailed voting breakdown for the Hugos and John W. Campbell Award. Several awards besides the Hugos were presented at the World Science Fiction Convention in San Jose, CA. 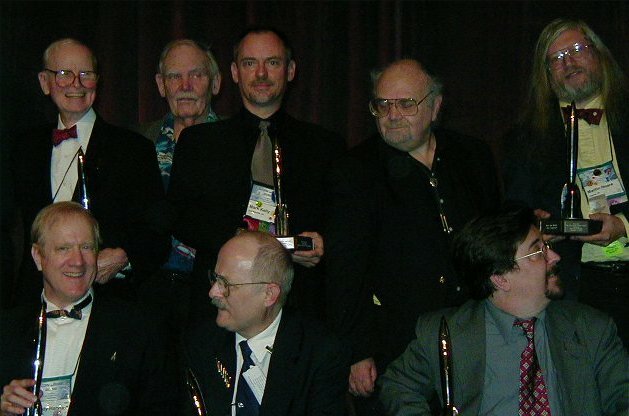 This year's Chesley Awards, presented by the Association of Science Fiction and Fantasy Artists, were announced Friday evening, August 30 2002. In addition, four works were admitted to the Hall of Fame: Geoff Ryman's novel 'Was...' (1992), the comic book Alpha Flight #106, Joanna Russ's novel The Female Man (1975), and Samuel R. Delany's novel Dhalgren (1975).